Nepal DeathFest 2016 has been announced and it is bigger than before. 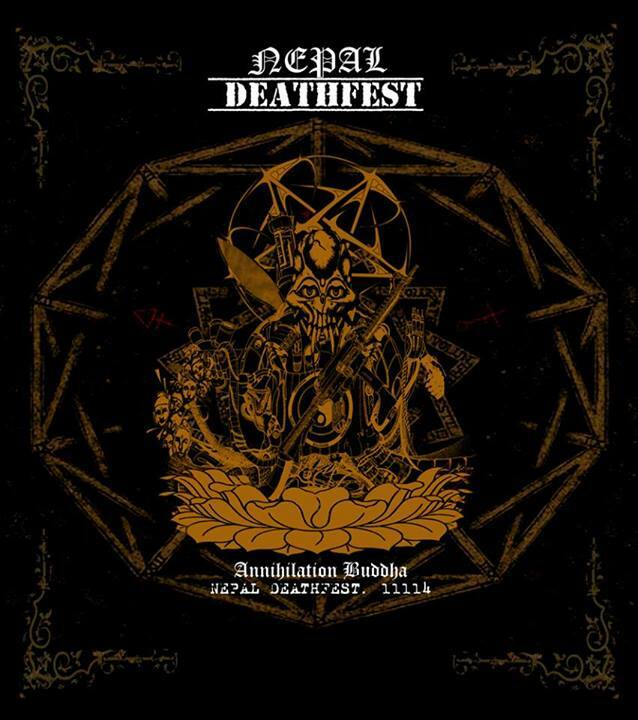 The third installment of Nepal DeathFest will be happening on January 22 & 23. NDF2016 will see global metal band such as Flesh Crawl (Germany), Sete Star Sept (Japan), Meat Train (England), NervoChaos (Brazil) and Nepalese metal bands. The first inaugural NDF 2014 featured bands from Nepal, India and Bangladesh. Within a short period of time Nepal Death Fest has been able to establish itself as a premium metal festival in the nation as well as in the global metal scene. The promotion for the festival is in full scale and has been able to gather attention from international media as well as national media. Global Metal Apocalypse (UK) has nominated NEPAL DEATHFEST in the category “Festival of the year” . NDF will be competing with elites such as Wacken Open Air, Maryland Deathfest, Bloodstock Festival etc. for the award. “The fest is divided into two days; Day 1 is purely dedicated to grindcore and other extreme forms of metal while Day 2 is especially dedicated to old school metal, though a little mix up should not surprise anyone. NDF respectfully dedicates its stage to two of the most respected drummers that the metal world recently lost. Day 1 stage will be called ‘Martin Kearns Stage’ (Bolt Thrower) and Day 2 stage will be called ‘Jim Konya Stage’ (Nun Slaughter)”. Amid of current political turmoil, NDF 2016 is scheduled to happen on January 22 and 23 at Nepal Music School, Kathmandu. The show will be followed by NDF Pre-GIG on January 20, Pokhara. Ticket Price for both day at doors:- 1500 NRS Only for two days. Presale 2: Rs 1000 till Jan 10.